The collapse of a RM7.41 billion deal to develop Bandar Malaysia is a clear sign of bigger problems ahead for Prime Minister Najib Abdul Razak and the state investment fund, 1Malaysia Development Bhd (1MDB). Even Moody’s said that 1MDB’s agreement to resolve a debt dispute with Abu Dhabi’s International Petroleum Investment Co (IPIC) may not be the end of the tunnel, as market sentiment depends largely on how 1MDB will settle bond payments in the future. Now, with the latest development on Bandar Malaysia, we know we are in deeper mess as the debts would have to be paid by Malaysian taxpayers. According to the Wall Street Journal, despite 12 extensions were given to the consortium, the Chinese government had refused to authorise the investment by the China Railway Engineering Corporation to acquire 60 percent stake in Bandar Malaysia on the basis that “the 1MDB fund hasn’t published financial statements for 2015 or 2016, so its current financial situation is unclear”. This is seen as a slap in the face of Najib, who had recently visited China and took home what he calls “big investments”. 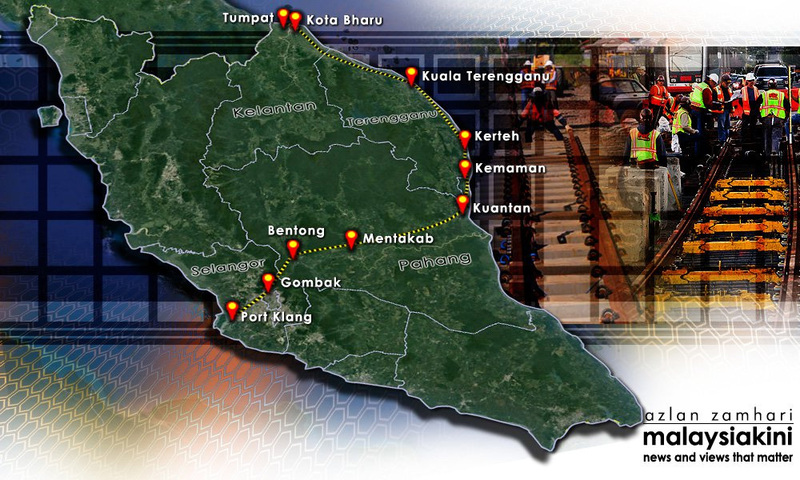 The initial announcements included a RM55 billion East Coast Rail Link (ECRL) project which was revealed later as nothing but a 20-year low-interest soft loan by the Export-Import Bank of China (Exim) and the main contractor would be China Communications Construction Co. While China may see it as taking money from the left pocket to put into the right pocket (at least in my opinion), Najib has incurred another major debt of RM55 billion. Najib, who has been in the middle of the storm since the US Department of Justice (DOJ) filed a civil suit against several individuals to seize assets worth more than US$1 billion last year, may find it hard to hold his head up after the deal did not materialise. According to the Wall Street Journal, the US authorities intend to file criminal charges against son of a Malaysian tycoon, Jho Low, who is a prominent figure in one of the biggest civil lawsuits filed by the DOJ. We will be hearing more of this in the near future. The US DOJ claimed that a sum of RM2.6 billion, which had allegedly gone into Najib’s personal accounts, originated from the 1MDB fund. Based on the DOJ’s investigations, there is no Arab prince in Najib’s fairy tale story. 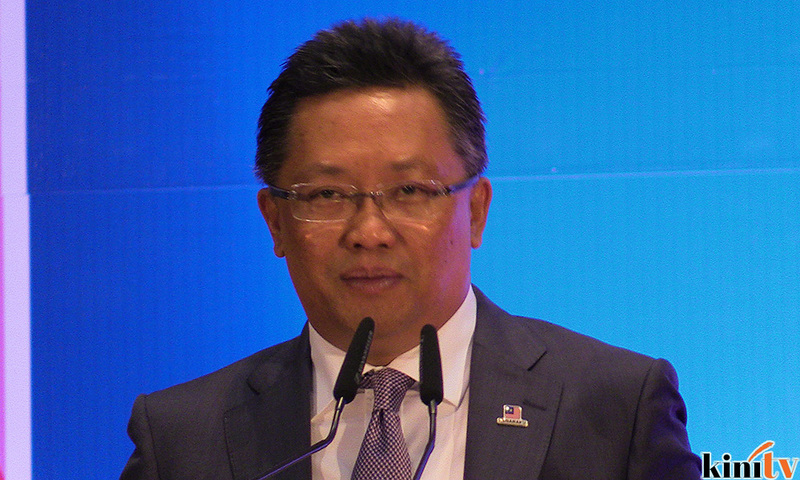 In the suit, he was dubbed the Malaysian Official No 1 (MO1), which later Minister in the Prime Minister’s Department, Abdul Rahman Dahlan (photo), announced to the whole world that MO1 referred to Najib. At the moment, PKR lawmaker Rafizi Ramli is exposing alleged leaked documents that have since been blocked by the Malaysian Communications and Multimedia Commission (MCMC), which are said to be related to the money trail of SRC International. This could further implicate Najib in the court of public opinion. Although Attorney-General Mohd Apandi Ali claimed that Najib was unaware of the amount of RM41 million banked into his private bank accounts, the evidence unearthed by international investigators who are on the money trail will put Najib in a tight spot, especially since the 1MDB scandal has reached international notoriety. According to the latest Financial Times report, Italy is joining the fray as the 10th nation currently investigating the allegations of insider trading linked to the 1MDB scandal. The other nations include the US, United Kingdom, Switzerland, Luxembourg, UAE, Hong Kong, Thailand, Singapore and Australia. The failed TRX City deal would have been Najib’s final major milestone in the 1MDB rationalisation plan. Things are certainly not working out well for Najib, as it is obvious that not even the Chinese government thinks the investment was worth the consideration. Now that the deal has been called off, Najib and 1MDB are left in the lurch on how to explain to all Malaysians about the final settlement of the debts owing to the IPIC. Finance Minister II, Johari Abdul Ghani has gone on record citing a letter dated August 11, 2016, from the Registrar of Corporate Affairs, which he claimed stated that Aabar Investment registered in the British Virgin Islands (BVI) belongs to IPIC. However, it is strange that the letter was not used to defend 1MDB’s case filed by IPIC in the London Court of Arbitration. Despite calls by several people, including Rafizi, to publish the said letter, neither Johari nor Najib had attempted to clear the air. The truth, after all, could not be told. Even if the letter is published, it does not absolve either 1MDB or Najib, as the Minister of Finance, of any wrongdoing, since the money had been transferred to some dubious company registered in the British Virgin Islands. The fact that 1MDB will have to pay the Abu Dhabi state investment firm US$1.205 billion in two equal payments on July 31 and Dec 31 clearly shows that the RM3.51 billion paid to the dubious company registered in BVI had gone unaccounted for. Yet, the Malaysian government has done nothing to recover the money from the Aabar Investment (BVI). For this reason, most Malaysians no longer have confidence in the Najib administration, since he has never been able to provide any concrete explanations since the 1MDB scandal came out into the open. In the arbitration, IPIC had, in fact, said that it has no links to Aabar BVI. It is because too many lies have been told that Malaysians are becoming very sceptical about everything said by Najib or his ministers. It is also interesting that both the Public Accounts Committee (PAC) and the Auditor-General’s Department have not started looking into the allegations made by Rafizi, even after fresh evidence surfaced regarding the mentmoney from SRC. Whatever it is, we are really in deep mess and you, Najib, are fully responsible for it. The problem could have been solved much earlier. This entry was posted in 1MDB Financial Scandal, Character and Integrity, civil society issues, Corruption, Ethics, Fiscal Mess, Foriegn Affairs, Najib Razak, PMO's Office, Political Economy, Rule of Law. Bookmark the permalink. Father of Malaysian Inflation, as well as Father of Mounting Public Debt. Lies, damned lies and 1MDB statistics. The collapse of a RM7.41 billion deal to develop Bandar Malaysia may have rewarded many connected persons/companies. Now there will probably be a new set of ‘beneficiaries’ when the the new partner is appointed. TAXPAYERS HAVE BEEN USED TO SUCH CASES SINCE THE MID-1980s BUT THE ONLY DIFFERENCE IS THAT WE STARTED TO MILLIONS AND THEN PROGRESSED TO HUNDREDS OF MILLIONS AND NOW IT IS IN BILLIONS OF RM AND THE NEXT STAGE OF TENS OF BILLIONS OF RM MAY ALREADY BEEN REACHED. DEVELOPED COUNTRY AT LEAST IN SOME ASPECTS. CONGRATULATIONS MAY BE IN ORDER!!! More importantly Zahid Hamidi has declared again his loyalty to Najib meaning he confirms Najib is in real trouble again. No one should surprise because it’s really classic Najib who has been extremely lucky in life and helped by many but always keep having one mess after another. It’s perhaps the biggest prodigal tale ever, certainly in Malaysia. It’s why Najib promises and plans are completely irrelevant, he is completely disposable. The fact he is so powerful, entrenched by support of powerful says more about our upper class failure of our society and institutional mess that we have. We are dysfunctional, the system of governance and society itself. We need to rewrite it all. May be China has started to “rationalize” their own geo-political plans not just for Malaysia but for the World at large and South & East Asia in particular? This can be seen in Beijing’s tightening of outboard capital controls which it knows will hurt all overseas investments of Chinese companies Worldwide and not just the Chinese waterfront city companies in Johor. Judging from what is happening in the South China Sea, N. Korea, the constitutional amendments in Japan to re-arm the country offensively, and Trump bringing his excellent negotiating skills to the table, China is now seen to be doing some kind of “pivot” which will become clear very soon, or at least as soon as the N. Korean problem is resolved, one way or another. So the “investments” in Bandar Malaysia is at this moment at the bottom of Beijing’s priorities, all the more so when it is no guarantee that Najib will win GE14 as criminal charges by the DoJ concerning 1MDB are looming by the day and may even come, whether by chance or design, right when Najib calls for GE14. Who knows, Pres. Trump might even have hinted or whispered to Pres. Xi the former’s plans for Najib whom Beijing knows very well any negative fallout from Bandar Malaysia, or indeed any Chinese investments in Malaysia, will impact Najib personally very badly and not just 1MDB alone. It’s karma of the evil kind. Jibby. About time you own up. Not only China, but God too has forsaken you. Time to withdraw with fatso in tow, of course, and disappear into the Pekan wilderness while you have the time. But I doubt the long-suffering rakyat, not those on your 1MDB payroll, will allow you to go so easily. You’re one evil, conniving and good-for-nothing sob.